Forest Garden Oakley Summerhouse: The Forest Oakley uses only FSC Certified Timber in its traditional overlap style of construction. The building is a classic corner summer house offering all the attractions of minimal intrusion into the garden and yet creates a spacious feature summer house for the whole family to enjoy. 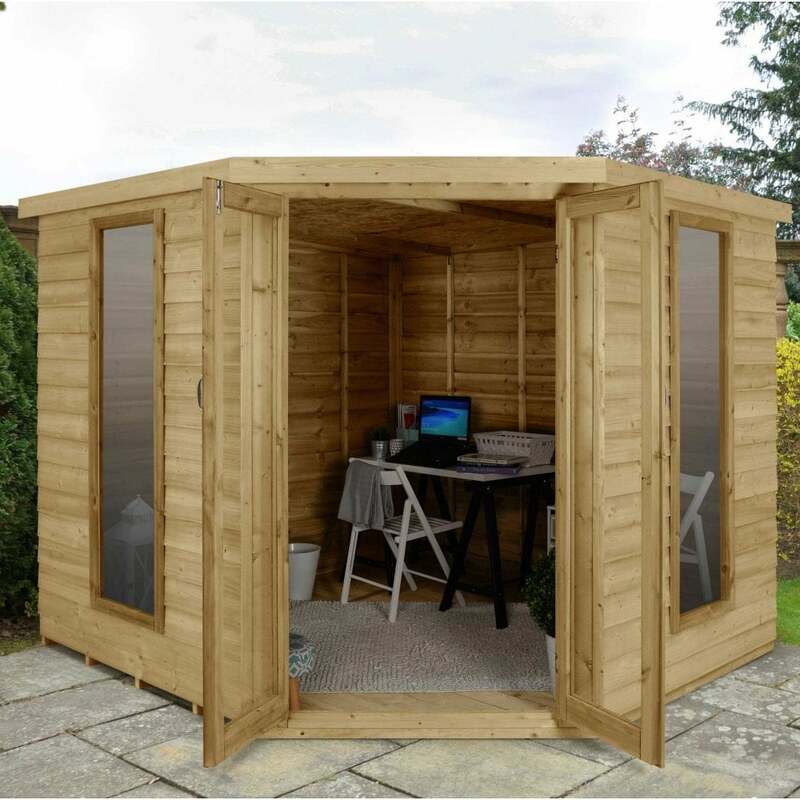 The 8x8 offers a spacious leisure room in the garden but owing to its corner design it is both discreet whilst still creating a feature in the garden.